YouTube is now an important part of our daily life where we spend hours in watching videos. Most of us still use Laptops or desktop to enjoy YouTube from the browser. When I am talking about the browser, Google Chrome is the favorite of many. Chrome offers lots of extensions to improve your experience and give you better functions. There are so many Google Chrome extensions available in Chrome web stores. Many of those are especially available for YouTube lovers to give them a different experience. This article is for those who use Chrome and YouTube both on daily basis. In this article, I am listing 10 cool Google Chrome extensions you must use. Turn Off the Lights is my favorite. It is because it turns on the light on the browser to put your focus on video. Here, turning off lights means changing the entire background to dark. The good thing is that you have options to customize it. You have control over the opacity of the faded background, you can change the color of fade to any color you are comfortable with and more. You also get night mode for easy browsing in dark, voice commands, camera motion detection and more. Magic Actions is another nice Google Chrome extension for YouTube lovers. It adds many handy features including the ability to control volume with the mouse wheel or right-click, take the screenshot of videos, preview a video and its rating, turn on or off night mode, cinema mode, different themes and control video buffer. Most notable feature of this extension is that it also helps in bypassing the country restriction. When you install this Google Chrome extension, it adds a button in the address bar. This button will be enabled when you open YouTube. Clicking on this button will show you few options where you can click on options to visit the new page. This new page allows you to configure different options. GIFit! chrome extension lets you make GIFs out of YouTube videos and share it on social media. After installation, this extension adds a GIFit button in the YouTube Player. Clicking on this button will open the GIFit model window where you can adjust height, width, frame rate, and quality. of the GIF. When you are done, click on GIFit button to create the GIF. Video Blocker is another nice Google Chrome extension for YouTub users. If you do not want videos from a specific channel to show in your video search, you can use this extension to block videos from that channel. Just install this extension and let this extension know what channels you would like to block. Videos from blocked channels will not appear in search or recommendation. SmartVideo is for those who usually face trouble on YouTube due to poor connectivity. This extension lets you control how the buffering of a video works. You can configure the extension to start buffering the video when page loads and play automatically when buffering is complete. This extension also allows you to loop all videos, hide annotation, hide player settings and configure video quality. It works on both YouTube and YouTube videos embedded on other websites. If you like to sing while watching a video or want to know the correct lyrics of the video you are watching, this extension is for you. You can install it and it adds a little icon to Chrome interface. While watching a video, click on it and you will see a new window with the lyrics. QueueTube for YouTube is one of my favorite. After installation, this Chrome extension allows you to search YouTube videos while watching the previous one. Search results appear on the left side bar where YouTube shows recommendation list. So, you can keep watching the previous video until you find the new one to watch. Looper for YouTube is for those who like a listen to a music video in the loop. This adds a Loop button in the video player. Clicking on it will start playing the video in an infinite loop. It also allows you to set the loop counts and loop portion. It is useful for you if you like to watch educational videos on YouTube. BriefTube extension makes sure you are not wasting time in videos that just look good from the thumbnail. You can also easily skip the boring part of the video. It creates a summary of a video and lets you jump to the video portion that you might find interesting. This Chrome extension only works with English videos that have English subtitles and longer than 5 minutes. This extension lets you watch YouTube video without actually visiting the YouTube. If someone shared a link with you on chat, or you see a link on Reddit, you can watch the video without actually visiting video. After installing HoverCards, you just hover the video link to watch it in a preview video. Sideplayer lets you watch YouTube video in a floating window. So, you can watch video while browsing the web. After installation, it adds a button in the video player. Clicking on that button will pop the video in floating window. You can also resize the new pop-up player as per your interest. There are hundreds of Google Chrome extensions for YouTube. Most of those offer similar kind of features but many are unique and enhance YouTube experience. 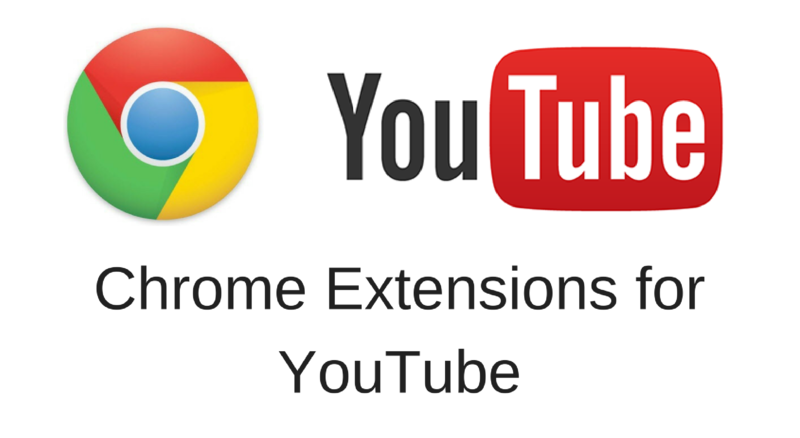 Try these 11 Chrome extensions and see if you get better YouTube experience. I will keep on writing similar kinds of articles. If you know any such Google Chrome extension, you can share it with us in comments.